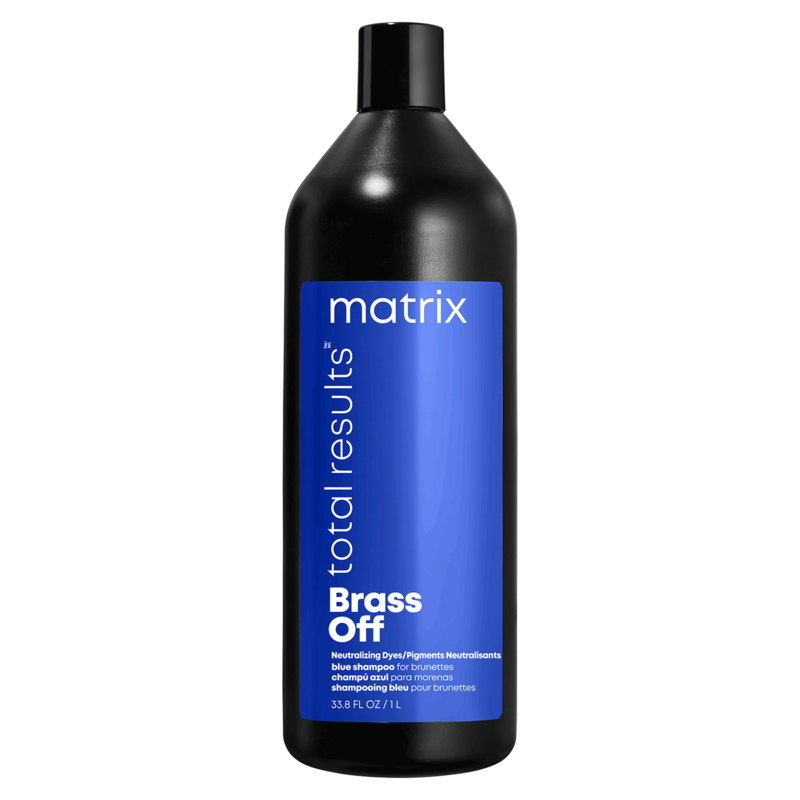 Total Results Brass Off Shampoo reduces brassy tones and boosts cool tones. Total Results Brass Off Conditioner. 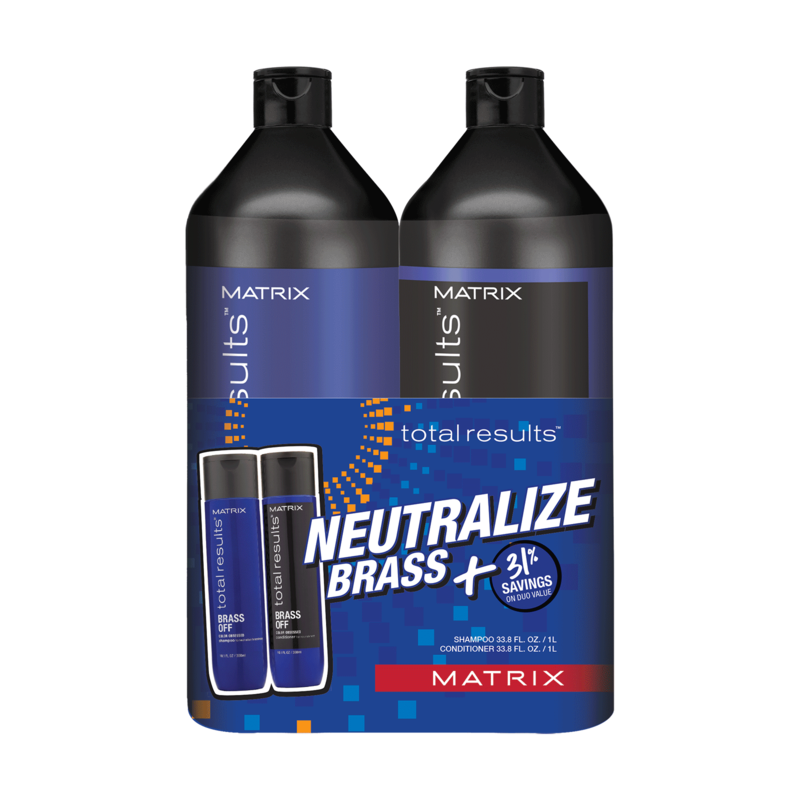 Color balancing conditioner hydrates hair while neutrazlizing warm tones.